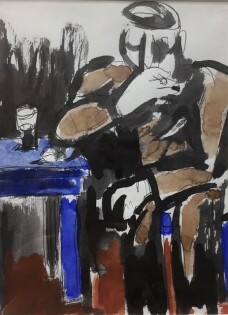 Josef Herman OBE RA (3 January 1911 – 19 February 2000), was a highly regarded Polish-British realist painter who influenced contemporary art, particularly in the United Kingdom. His work often depicted workers as it subject and was inherently political. He was among more than a generation of eastern European Jewish artists who emigrated to escape persecution and worked abroad. For eleven years he lived in Ystradgynlais South Wales.